Oxfam operates at the community, national and international levels in protecting and securing land rights for sustainable development. With actions spread across 30 countries, supported with international advocacy and policy engagement, we aim to achieve impact at all levels for equitable and just land rights. The Global Land Programme is a key way that we bring together these efforts. From ensuring land rights of women in Tanzania to safeguarding forest rights of communities in Myanmar to raising awareness on the plights of land rights defenders in Honduras, Oxfam has been working actively on land and its related developmental issues in almost 40 countries spread worldwide in the last decade. By doing this, Oxfam is able to look to dig deeper into issues on land at the micro level. Oxfam is also able to fully understand how local contexts, actors and dynamics come into play. Working at the country level, Oxfam is also able to put the spotlight on local land issues in order to put pressure on duty bearers and use these cases for international campaigns and evidence-based policy advocacy work at regional and global levels. Whether opening up spaces for local civil society actors on land policy, assisting marginalized and vulnerable groups in claiming their rights and access to land or ensuring that land acquisition deals are equitable and just, Oxfam has played a significant role in ensuring that land is at the core of global discussions on building a world free from poverty and inequality. The last decade has seen unprecedented international focus on issues – both good and bad – related to rights, responsibilities and relationships to land at local, national and global levels. Oxfam has invested greatly in pressing for the voices and interests of everyday women and men, particularly those who grow and produce our food, to be front and centre in this conversation. 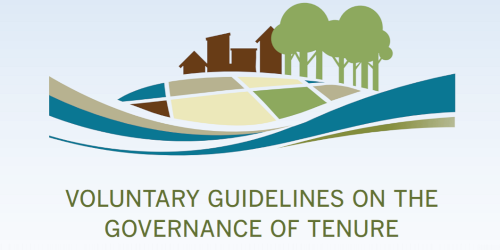 For the first time, we are now seeing a range of land rights commitments articulated at the global level – written into a growing number of international policies, standards, and round-tables. While this is a promising first step, the real test is if, and how, these commitments translate into meaningful change on the ground. We want strong, evolving global standards that help strengthen the calls of local communities for fair, equitable access and control of land. In addition, it is critical that companies, international bodies and governments are also held accountable to these standards. Amplifying the voices of people and communities, from the local level to the global stage, has never been more important than now. Advocating for their inclusion and monitoring implementation of them to ensure they work for women and their communities. Inputting on their development with allies and now promoting them, and using them as leverage in national advocacy, as well as advocating for greater monitoring. A more recent area of work is pushing for more attention to women’s land rights within CSW). This helps to build commitment in the UN system that can be positive for the SDGs and other processes. This helps to build commitment in the UN system that can be positive for the SDGs and other processes. As part of our advocacy work we also focus on development financial institutions like the World Bank Group (WBG) which includes the International Financial Corporation (IFC). The key objective is influencing these organizations to provide more and better-quality financing to help poor countries overcome poverty, fight inequality and secure food justice in a resource constrained world, to ensure better investment in agriculture, fight effectively against climate change, and to protect civic space, human rights and land rights. We also support and help communities to raise complaints through the World Bank and IFC’s accountability mechanisms (The Inspection Panel and the Compliance Adviser Ombudsman, respectively), Ensuring the World Bank and other development finance institutions stay focused on their safeguards. Watch Oxfam's interview with Tania Li, Ph.D, while she was in Lima, Peru, in March 2017.Tania is Professor of Anthropology at the University of Toronto. We are in the midst of the single biggest attack in the world today on people’s identity, rights, livelihoods and security, as well as on our environment. They cannot afford to lose this fight, nor can we. International public campaigns raise global awareness and solidarity, strengthen and connect struggles, and mobilise national and international support from active citizens, in particular urban middle classes in the North and in the South. Public campaigns also leverage the media to increase public awareness and hold governments and the private sector accountable to their commitments to raise international standards on land rights and security. Since 2008, we campaigned to shine a spotlight on cases of land grabs and abuse. Through our global Behind the Brands food and beverage companies have already committed to ‘zero tolerance’ towards land grabs throughout their supply chains. Currently we are coordinating the Land Rights Now! Campaign in support of the Global Call to Action for Indigenous Peoples’ and community land rights. 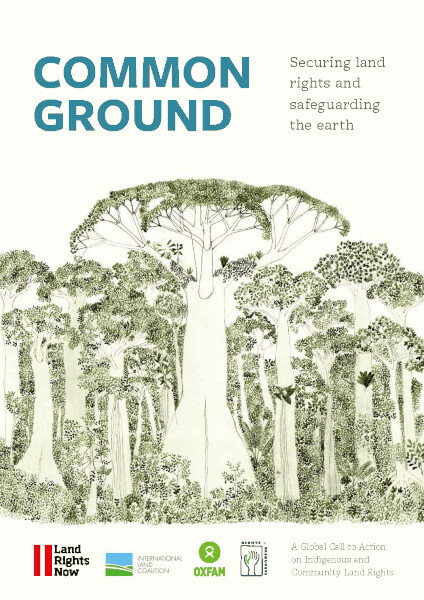 We coordinate the Land Rights Now campaign – an international campaign convening more than 800 organizations and communities worldwide. 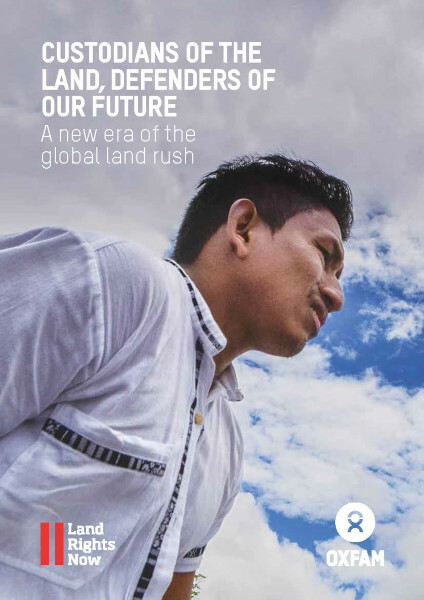 Land Rights Now was launched in 2016 with the Rights and Resources Initiative and the International Land Coalition. Up to 2.5 billion people, including 370 million Indigenous people, depend on lands and natural resources that are held, used or managed collectively. However, this vital land – which covers 50% of the planet’s land surface – is under threat, since only approximately one fifth is formally recognized as owned by Indigenous Peoples and local communities. The impact of these threats to this land are far-reaching. Secure rights to collectively held lands preserves cultural diversity of communities, but also helps in combating poverty and hunger as well as aids in preventing conflict and counteracting climate change. The protection of Indigenous and community land rights is integral to creating a more sustainable and stable environment, economy, and global food system. The Land Rights campaign champions the importance of Indigenous and community land rights. We work to mobilize active citizens and communities, Indigenous Peoples, governments, intergovernmental organizations, private sector actors, and civil society and social movements from all over the world to secure land rights now. We are all consumers or producers, if not both. Ensuring land rights is important to us all. In 2013, Oxfam initiated a groundbreaking campaign, Behind the Brands, to challenge 10 of the largest food and beverage companies to improve their economic, social, and environmental performance. This initiative has drawn the support of almost a quarter million advocates and spurred well-known companies to make unprecedented commitments. Among them: The Coca-Cola Company, PepsiCo, Illovo Sugar, Unilever, and Nestlé adopted strong land rights commitments and declared zero tolerance for land grabs. When Oxfam engages with companies to adopt new commitments, we know it is only the first step. The true measures of success are improvements in the lives of people living in poverty and protections for our environment and natural resources. Now, Oxfam is engaging with companies to ensure that they follow through on their commitments. See Oxfam’s Behind the Brands Implementation Initiative. In their work to advance a rights-based land agenda with government and private actors, and support community efforts on the ground, in-country Oxfam teams and partners are confronted with many challenges which require specific professional skills, knowledge and competencies. With around 100 partners, over 30 initiatives and thousands of women and men reached around the world, Oxfam has a wealth of experience and potential for learning. The land learning series is a programme devoted to the Oxfam in-country teams and civil society partners. Practical, issue-based learning methods are offered for personal and collective knowledge development. Sharing on-the-ground experience, strategies, tactics and tools, ‘land learning journeys’ are organized annually. A group of 25-30 Oxfam staff and partners from around the world meet to share their experiences through participating in discussions, training, public events and meetings with local communities. Guest lecturers are invited to present methods and instruments that proved to be successful, or animating policy & practical debates on key land concepts in online webinars.